Transforming every situation we face into the path of practice is one of the key teachings of the Buddha. However, very few of us have the opportunity to do this work with a death row inmate in his last few weeks of life. In October, Venerable Thubten Jampel from Sravasti Abbey in Newport travelled to Oklahoma City to act as spiritual advisor to Don Wackerly, a death row inmate and student of Venerable Thubten Chodron since 2006. Ven. Jampel had previously spoken at Don’s clemency hearing in September, then spent a week visiting him each day until his execution on October 14. According to Ven. Jampel, it was obvious from Don’s videotaped statement to the clemency hearing that he had been practicing the Dharma. However it was his dealings with the prison authorities that had the most impact on Ven. Jampel. “The most powerful experience I had was being able to see people who, through the choices they made in their lives and their previous karma, led them to the position of being an accessory to murder,” he said. “The people I met sincerely believed they were serving justice and society’s wishes. They took jobs and made decisions that got them into this situation with a genuine desire to serve. That, in turn, led them to making life and death decisions; they will have to bear the burden of those actions and decisions. “Later when I went to speak with her, she looked as if I had cornered her in a dark alley; she was cringing and cowering as if she was waiting for my anger. I had no anger; all I wanted to do was offer my condolences that she had to make such a choice. Ven. Jampel was able to see first-hand how Don‘s practice had changed the way he was thinking and behaving. “When I arrived at the prison a week prior to Don’s execution, he was already in a good, peaceful place. He had let go of most of his anger. Don’s situation also touched the hearts of many around the world. The Abbey received news that thousands of people, including His Holiness the Dalai Lama, Lama Zopa Rinpoche, and monks, nuns and students from Buddhist centers in the US, the UK, Nepal, India, Singapore and Australia, were making prayers for him to take a precious human rebirth. In his last hours, Don continued to practice, renewing his refuge in the Three Jewels and retaking the five precepts just before his death. 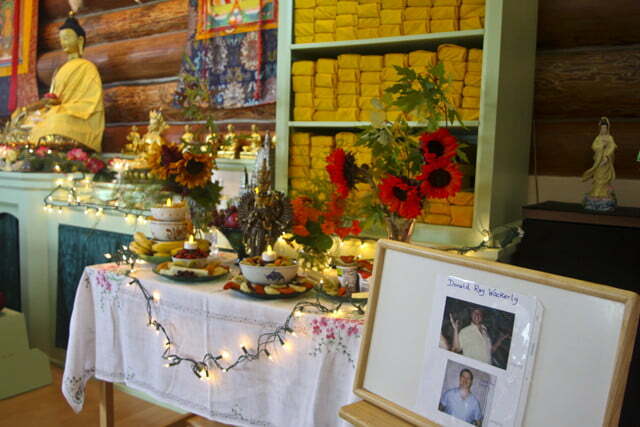 In lieu of a final statement, Don smiled at his supporters, generated compassion for all sentient beings and recited om mani padme hum, the mantra of great compassion, until he could no longer speak. A letter from one of Don’s lawyers noted the effect the Dharma had on Don’s final outlook. “The teachings transformed Don’s life, and he died in a manner which I would be delighted to emulate when my time comes,” he said. Another of his lawyers noted that every local news report about the execution mentioned Don’s chanting and the prayers made for him by Geshe Dorjee, Ven. Jampel, and others in the observation area. “Pretty good for here,” she said. According to Ven. 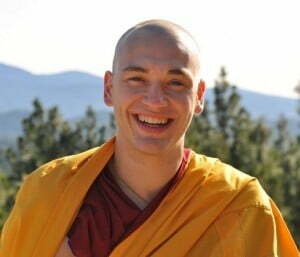 Jampel, the unusual nature of Don‘s last statement and his having Buddhist monastics around him as he died had a positive impact on many people. “At the very least, people I met had to rethink their beliefs and deeply ingrained assumptions about death and what it means,” he said. “During all my time with Don, I had to keep a mind that recognized his suffering and the causes of suffering that were being created by those involved in his execution, but to look at that only within the context of samsara. “I needed to keep a broader perspective, one in which the dreadful action of killing a human being can also result in our moving away from suffering and towards kindness and compassion. The Dharma helped everyone concerned. Don’s practice had enabled him to let go of a lot of anger and reconcile with his sisters several months before his death.